Agriculture Secretary Tom Vilsack today announced that USDA is investing more than $518 million in rural electric cooperatives to improve the delivery of electric power to communities in 15 states. This funding is part of nearly $50 billion that USDA has invested in infrastructure improvements since 2009. More than $23 million in today’s funding is targeted for smart grid improvements, which better manage and increase efficiencies in our nation’s electric system. Smart grid technologies, such as automated meter reading and load management automation, allow for more efficient control over the use of power to better meet customers’ needs. USDA has a long history, dating back to 1935, of working with rural utilities to deliver infrastructure and service improvements. Through the years, these investments have brought new economic and social opportunities and have enhanced the quality of life in the nation’s rural communities. The investments announced today are provided through USDA’s Rural Utilities Service (RUS), which also administers infrastructure programs that bring broadband, safe drinking water and improved wastewater treatment facilities to rural communities. 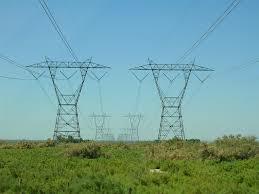 Today’s loan guarantees for electric systems will build or improve more than 5,600 miles of line in rural areas. For example, in New Mexico, a $14.1 million loan will fund a 1 MW photovoltaic facility, 74 miles of line, and make other system improvements. The loan includes $518,400 for smart grid projects and $3.4 million for the renewable project. The Carroll Electric Membership Corporation in Carrollton, Ga., will receive $20.6 million to build or upgrade 441 miles of line and devote $93,000 to smart grid technology. The following is a complete list of loan recipients and projects receiving funding under today’s announcement. Morgan County REA – $10,346,000. To build or improve 97 miles of line, and make other system improvements. Carroll Electric Membership Corporation – $20,607,000. To build or improve 441 miles of line, and make other system improvements. The loan amount includes $93,000 for smart grid projects. Tri-County Electric Membership Corporation – $22,955,000. To build or improve 302 miles of line, and make other system improvements. The loan amount includes $305,000 for smart grid projects. Menard Electric Cooperative – $17,000,000. To build or improve 173 miles of line, and make other system improvements. The loan amount includes $330,000 for smart grid projects. Jackson Energy Cooperative Corporation – $26,940,000. To build or improve 135 miles of line, and make other system improvements. The loan amount includes $60,000 for smart grid projects. Salt River Electric Cooperative Corporation – $18,000,000. To build or improve 147 miles of line, and make other system improvements. The loan amount includes $507,500 for smart grid projects. Shelby Energy Cooperative, Inc. – $20,000,000. To build or improve 192 miles of line, and make other system improvements. The loan amount includes $495,346 for smart grid projects. Crow Wing Cooperative Power and Light Company – $21,000,000. To build or improve 168 miles of line, and make other system improvements. The loan amount includes $858,524 for smart grid projects. Lyon-Lincoln Electric Cooperative, Inc. – $6,198,000. To build or improve 70 miles of line, and make other system improvements. The loan amount includes $540,491 for smart grid projects. Howard Electric Cooperative – $4,766,000. To build or improve 31 miles of line, and make other system improvements. The loan amount includes $700,000 for smart grid projects. Ralls County Electric Cooperative – $3,143,000. To build or improve 10 miles of line, and make other system improvements. Yellowstone Valley Electric Cooperative, Inc. – $16,166,000. To build or improve 144 miles of line, and make other system improvements. The loan amount includes $3,402,800 for smart grid projects. Springer Electric Cooperative, Inc. – $14,117,000. To build a 1 MW photovoltaic facility, build and improve 74 miles of line, and make other system improvements. The loan amount includes $518,400 for smart grid projects and $3,425,000 for the renewable project. Rutherford Electric Membership Corporation –$18,500,000. To build or improve 60 miles of line, and make other system improvements. Tideland Electric Membership Corporation – $24,500,000. To build or improve 161 miles of line, and make other system improvements. The loan amount includes $1,478,392 for smart grid projects. Tri-County Electric Membership Corporation – $19,000,000. To build or improve 97 miles of line, and make other system improvements. Union Electric Membership Corporation – $50,000,000. To build or improve 384 miles of line, and make other system improvements. Cass County Electric Cooperative, Inc. – $36,300,000. To build or improve 771 miles of line, and make other system improvements. The loan amount includes $8,947,760 for smart grid projects. Roughrider Electric Cooperative, Inc. – $50,000,000. To build or improve 687 miles of line, and make other system improvements. The loan amount includes $138,000 for smart grid projects and funds allocated for service to Native Americans. North Western Electric Cooperative, Inc. – $4,800,000. To build or improve 45 miles of line, and make other system improvements. The loan amount includes $34,481 for smart grid projects. Verdigris Valley Electric Cooperative, Inc. – $21,000,000. To build or improve 231 miles of line, and make other system improvements. The loan amount includes $510,000 for smart grid projects. Central Electric Cooperative, Inc. – $14,343,000. To build or improve 222 miles of line, and make other system improvements. The loan amount includes $784,652 for smart grid projects and funds to service Native Americans. FEM Electric Association, Inc. – $5,752,000. To build or improve 197 miles of line, and make other system improvements. The loan amount includes $259,640 for smart grid projects and $1,335,000 for restoration due to storm damage. H-D Electric Cooperative, Inc. – $6,385,000. To build or improve 102 miles of line, and make other system improvements. The loan amount includes $459,439 for smart grid projects. West River Electric Association – $22,870,000. To build or improve 160 miles of line, and make other system improvements. The loan amount includes $403,797 for smart grid projects and $1,050,000 used for restoration due to storm damage. Whetstone Valley Electric Cooperative, Inc. – $7,500,000. To build or improve 86 miles of line, and make other system improvements. The loan amount includes $572,708 for smart grid projects and funds to service Native Americans. Cherry-Todd ECI – $14,884,000. To build or improve 101 miles of line, and make other system improvements. The loan amount includes $1,998,018 for smart grid projects and funds for Native Americans. North Plains Electric Cooperative, Inc. – $21,656,000. To build or improve 348 miles of line, and make other system improvements. The loan amount includes $77,638 for smart grid projects.